That is a bloody awful challenge,,how he didn't break his leg or ankle is beyond me. Could this not be used in evidence for an appeal? What is there to appeal? He reacted and deserved the red. Very much agree, he gave the ref the opportunity to make that decision. You can't retaliate, that's two in two games. The tackle on Thanoj maybe could be helpful for any appeal for Middleton though, as in why was that one a yellow and Middleton's a red. 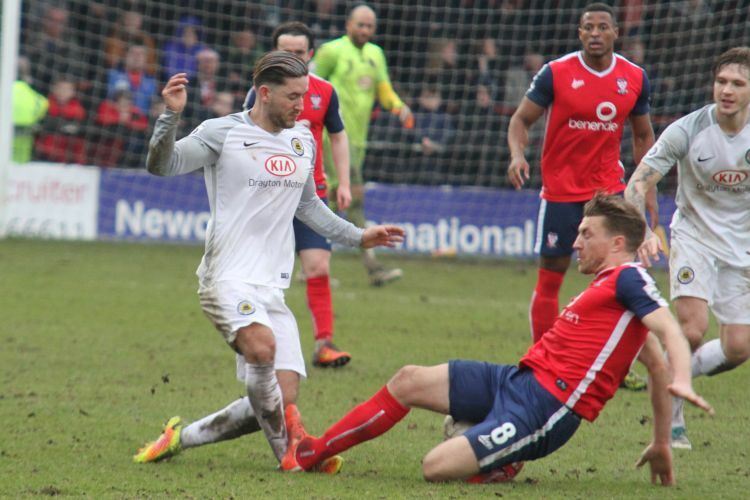 But it might be though both tackles should have been straight reds and Heslop got away with it. In which case there is no point appealing! Spoken to a colleague this morning (a York fan) stood at the home end who thought Middleton's sending off was harsh. Whilst he slid in for the tackle both feet were on the ground.well before contact was made. I think the ref just lost it, and made a rash decision to send him off.